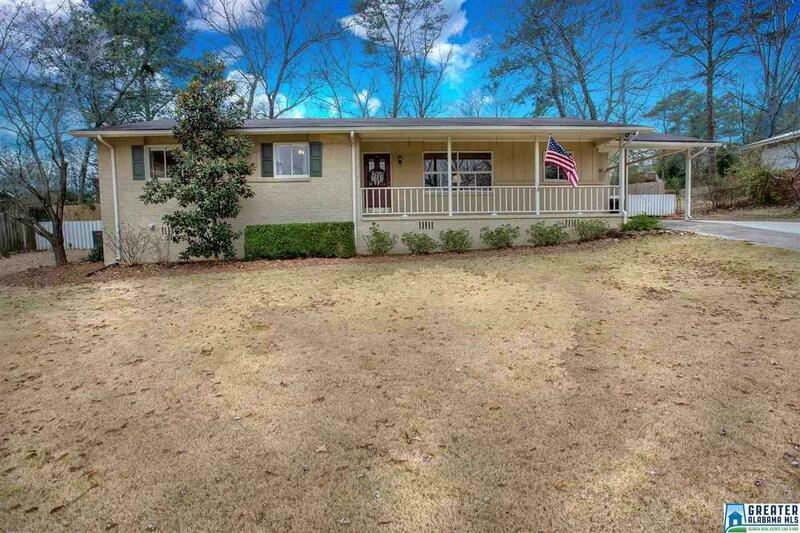 This conveniently located Vestavia home features 3 bedrooms and 2 baths with natural hardwoods throughout. As you enter the front door, you're welcomed to a cozy, naturally lit formal living space that opens up to the formal dining. Continue through this home to the updated kitchen featuring a gas stove and quartz countertops. Store items in the generously sized laundry room, off the kitchen. Entertain guest in the main family room with a gas log fireplace, or take it outside to the back open deck/patio that features trees and landscaping within a fenced backyard. Back inside, hardwood floors and new/newer lighting. The front yard features treated zoysia grass and an additional parking pad. You don't want to miss out, this home won't last long! Move in before the new Vestavia school opens this Fall less than a mile away! Driving Directions: Hwy. 31 To Columbiana Road- Left On Stonewall Drive, Right On Yorkmont Drive. Home On Left.